Magpies can recognize themselves in a mirror, scientists have found - the first time self-recognition has been observed in a non-mammal. Until relatively recently, humans were thought to be uniquely self-aware. 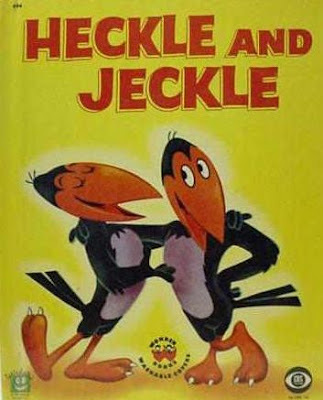 Also, Heckle and Jeckle, the original talking magpies. All this time I thought they were crows! Thanks for setting me straight.